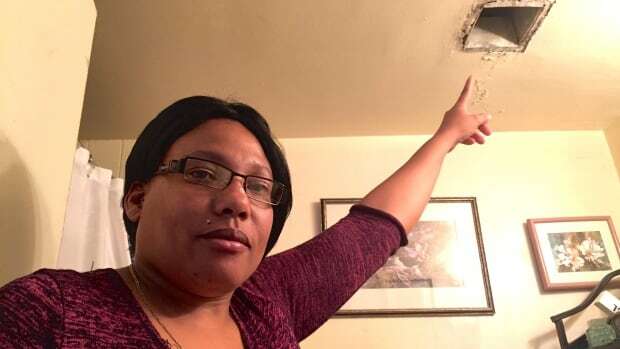 Cheryl Horne is paying more than $1,000 each month for cockroaches, broken cupboards, an unsealed door that lets cold air in and gaping holes in her walls and ceilings. And her rent is about to go up. “It’s hard. It’s driving me mad,” Horne said. “But there’s nothing to do. I have to just live with it,” she said in an interview with CBC News in her unit at 3967 Lawrence Ave. E., which is near Orton Park Road. A new report released by ACORN, a national organization of low and moderate income families, says the plight of tenants like Horne highlights the need for the city to move forward on landlord licensing. Their State of Repair survey was distributed to 174 ACORN members across the city to measure the extent of substandard living conditions in Toronto’s rental apartments. Results reveal the majority of tenants have major deficiencies in their homes. Andrew Marciniak, a lead organizer at ACORN Toronto, spoke on CBC’s Metro Morning about the severity of the situation. “People are living in squalor and paying high rent,” he said. Of the members surveyed, 95 per cent reported violations of Toronto’s property standard bylaws in their apartments and nearly 70 percent said repairs were needed in their unit the day they moved in. Marciniak said that cockroaches rank among the most common complaints. “83 per cent of people say they have seen cockroaches in their home, and about a third say they see them every day,” he said. In addition, half of respondents lack heat in winter and a quarter have mold in their apartments. Marciniak said that bed bugs, poor ventilation and faulty elevators also plague about a quarter of the tenants that were surveyed. ACORN wants the City of Toronto to implement mandatory annual inspections of all buildings with three or more floors and more than 10 units. The program would be similar to the DineSafe restaurant licensing system. Landlords that fail the inspections would face large fines. Getting basic repairs done is a hurdle nearly 70 percent of respondents said they struggle with. Horne said numerous written requests to her landlord have gone unfulfilled. Although there is a complaint system for tenants through the city’s 311 system, nearly one third of respondents said they see no point in calling. ACORN has been pushing for a policy to ensure landlords face the same scrutiny as other business owners in Toronto. In June, Toronto city council voted 33-6 to ask municipal licensing staff to start public consultations on a plan to crack down on bad landlords. ACORN Canada president Marva Burnett said ACORN members will be at city hall over the next two months as city council reviews a staff report to ensure any new program is the best one possible. “Toronto city council and Mayor John Tory have a golden opportunity to leave a legacy and ensure all tenants live in a healthy home,” Burnett said in a statement. Hefty fines to landlords are a sobering reminder to investors that buildings should be up to code, or they could face the same sort of financial repercussions. Two landlords in two separate cities are facing substantial fines for building code violations, proving shortcuts can be costly. A property owner in St. Catherines, Ont., was ordered to pay $8,000 for fire code violations and will also face probation. In a separate case, an Alberta landlord – who had previously been warned about building violations – was fined over $20,000. In that instance, the owner ignored warnings to address improperly-sized basement windows as well as fire alarm installations. Any landlord who has been involved in the real estate rental business for more than a few years has likely come across a tenant disaster, or at least knows somebody who has. One of the most common comments we hear from prospective, current, and former landlords relates to the headaches caused by accidentally renting to a bad tenant. The relationship between landlord and tenant is known to be rocky, at the very least, and disastrous or expensive in a worst-case situation. Bad tenants have left landlords with garbage to clean up after suddenly leaving a property, pet damage and repairs in suites clearly marked as not allowing pets, damage to property after massive parties, junk removal requirements after night-time move-outs, and everything in between. Horror stories are everywhere, and news travels fast: selecting the right tenants is the most important step in the real estate rental business. Landlords who can master this skill will succeed in the business, while the opposite is also true, unfortunately. Bad tenants are the number one reason for landlords leaving the industry and selling their properties in search of greener pastures. Landlording is a risky business. Selecting a disreputable tenant who causes major damage to a unit can leave a landlord with a significant bill for clean-up and repairs, scare off other regularly paying tenants, and even label the landlord as inattentive or with the classic slumlord designation. Unfortunately, there is rarely any insurance that can protect landlords in this area, and a problematic tenancy resulting in a massive expense will almost never pass the strict criteria that an insurance policy will require prior to paying out on a repair claim. Tenancy laws throughout Canada differ greatly, but they all set out specific protections for both landlords and tenants. Most landlords assert that the laws favour tenants in almost every situation. 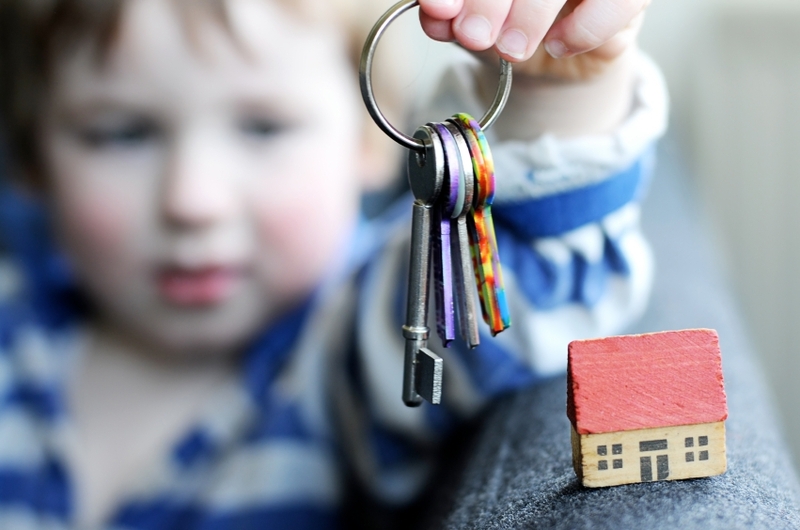 Certain provinces, such as Alberta, offer slightly more protection to landlords than other provinces, where landlords can be forced to endure a problematic tenancy for months, or even years. The best and most sure-fire way for landlords to avoid having to deal with this problem starts at the very beginning of the landlord-tenant relationship. Landlords who screen their tenants properly will greatly reduce the risk of future loss, maintain their reputation in the greater community without blemish, and not be constantly stressed about their rental properties. Here are three tried and true methods of selecting the best and most qualified tenants and learning ways to avoid costly disasters. As any real estate or courtroom lawyer will tell you, good documents are the starting point of any successful business relationship. Having a successful tenancy requires good, clear, concise definitions of everybody’s responsibilities and rights. Skipping this step means a tenancy relationship is beginning without a solid foundation, and during times of difficulty there may be nothing to refer to for clarification. This document is probably the most important of any document in the entire rental process, which comes as a surprise to many new landlords. This information will help landlords gain a better understanding of the tenant’s characteristics. More importantly, however, it gives the landlord some good contacts to track down the tenant if they should disappear. Visithttp://hopestreet.ca/rental_resources/ for a free download of a comprehensive Rental Application Form. This is the second-most important document in the landlord-tenant relationship. Unfortunately, it is often overlooked. Most provinces require a landlord and tenant to complete a move-in report upon onset of a tenancy. This quantifies and documents the condition of a property so that, when the tenant leaves, any damage caused is clear. A thorough and concise move-in report card is a sure-fire way of avoiding significant disputes over tenant-related damage. Most provinces require a landlord to produce this report prior to deducting any funds from a tenant’s security deposit. As the name suggests, this document will establish the terms of the working relationship between the tenant and landlord. In general, the more detail it provides the better, and sourcing a free online residential tenancy document is not sufficient to cover a landlord’s interests. Most local rental associations will sell well-written and well-researched versions of residential tenancy agreement documents with several carbon copies for each party. Landlords and tenants fill in various fields relating to names, address, and rental amounts. This can be a small side document that forms part of the agreement and sets out additional rules for items such as pets, smoking in the unit, or penalties for late rental payments. These documents are harder to enforce but establish good guidelines for the day-to-day operations of a rental property. The first interaction with a tenant provides a great opportunity to gain an impression of them. During the initial showing, the tenant may be more concerned with looking around their new home than acting in a manner consistent with getting their application approved. Some careful observations by the landlord can be extremely useful when considering the tenant’s application. Did the tenants arrive on time? Tenants who are respectful of their landlord’s time are good tenants to have. Common excuses for showing up late are that the tenant got lost, or was not able to round up family members or kids. Are these seemingly minor excuses reasonable? Probably not. Tenants who do not arrive on time for a showing are not likely to pay their rent on time either. Avoid these tenants at all costs. Are the children well behaved? Tenants who want something – in this case, to move into your rental property – are likely to be on their best behaviour. They will speak politely, act respectfully, and maintain a professional manner. Kids, on the other hand, can be cautioned numerous times to behave but have shorter attention spans. Are the kids bouncing around the property in a rambunctious manner? Be sure their behaviour will become much worse when the landlord leaves the premises. If the tenant’s kids are behaving poorly during the showing, expect the property to be returned to you with obvious damage from rambunctious kids. Did tenant take off their shoes? If a landlord has to ask the tenant to remove their shoes, this is a good indication that they are not in the habit of doing so. While this may be a personal choice, and can be a cultural issue, tenants who remove their shoes are likely to cause less stress on the flooring of a rental property. 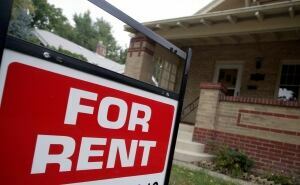 Avoid tenants who plan to wear shoes inside their rental property. What does the back seat of the tenant’s car look like? This is a tried and true technique for learning whether the prospective renter will keep the rental property clean, or let clutter, dirt and debris build up. Avoid tenants with garbage in their car, as this will mirror the cleanliness of their home. The rental application contains the most comprehensive set of information about the prospective renters and should take the most time to review and confirm. Does the tenant’s stated income seem unreasonably high? Look for ways to confirm this income, such as a letter of employment from a reputable business. If the income is from self-employment, ask for a recent tax return to confirm it. Remember: the more intrusive the questioning, the less likelihood of a disaster or massive repair bill from a problematic tenancy. A quick Google search to confirm the existence of the company or place of work provided by the tenant should be sufficient. If it does not exist or is extremely difficult to find online, then it is likely to have been made up. If the tenant claims to be self-employed, ask for a business card or marketing/promotional materials to prove the company’s existence. If it cannot be confirmed, decline the tenant’s application. Are there gaps in the tenant’s rental history? If a tenant’s application lacks previous landlord information for a period of time (typically six or 12 months), they may be trying to hide a less than positive past tenancy. If they refuse to provide comprehensive chronological information for the past two years, ask where they lived during the missing time. A backpacking trip overseas or living with parents are acceptable responses; disclosure of a problematic tenancy followed by court eviction is not an acceptable response. Following these strategies will help you weed out undesirable applicants and greatly reduce, if not eliminate, the likelihood of a rental catastrophe. Source: Financial Post. Jason Heath is a fee-only certified financial planner and income tax professional for Objective Financial Partners Inc. in Toronto. To find out more about investing in real estate, attend our next real estate information session on October 22nd, 2015. Click here for more info. Twenty-two-month-old Ava McCubbin has a toddler’s chubby cheeks, blond hair and an infectious smile. She’s also a big reason why her parents, Gina and Bruce McCubbin, can’t find a place to live. “When I contacted a landlord and I explained that we had Ava, she abruptly told me that she wasn’t welcome.” Bruce McCubbin told CBC News. The McCubbins moved to Toronto from Edinburgh, Scotland in July. For Gina McCubbin, who grew up in Toronto’s east end, it was a homecoming. They had a temporary place to stay with Gina’s mother. Bruce quickly found a good, full-time job, and the couple started looking for an apartment to rent. They immediately started noticing a pattern, one confronting many Canadians. But they were surprised at how many stated outright ‘Adult Building’ or ‘Not suitable for children’. “Once a landlord decides to rent a unit to the public, they are obliged under human-rights legislation to do so in a way that does not discriminate,” said Cherie Robertson, a senior policy analyst with theOntario Human Rights Commission (OHRC). If the landlord is living in the same place and shares a bathroom or a kitchen with the tenant, for instance, they are allowed to stipulate who they want to live in the unit. The protections against discrimination don’t apply. The same goes for buildings that are seniors’ residences or care facilities for people over the age of 65, but that’s about it. The list of reasons why a tenant cannot be refused an apartment includes race, religion, marital status, sexual orientation and disability. Landlords also cannot discriminate based on income source (such as welfare or disability payments) or even, somewhat surprisingly, pets. Discriminating against families with children is against human rights legislation in every province. In 2012, the OHRC conducted an inquiry and found that on some of the more popular rental listing websites, as many as 20 per cent included language that could potentially or intentionally target people who are protected by the human rights code. CBC News found several examples of ads that contain language that is discriminatory toward families with children. Too small for a family. Calls to phone numbers listed on those ads were not returned. Landlords can face thousands of dollars in fines and legal fees if they’re found to be in violation of a tenant’s human rights. “It is frustrating. You just hope that landlords realize that it’s a painful process to have a complaint filed against them. They want to avoid that and by being proactive in educating themselves they could do it quite easily,” the OHRC’s Robertson said. While the commission has the power to act on its own, dealing with discrimination in housing is mostly a complaint-driven process. And that can also be an issue. Sarah Khoo and her husband were looking for an apartment in Toronto last March. They found one they liked, met the landlord and filled out an application. “He just rejected us because I have a child,” Khoo said. In Khoo’s case, the landlord actually put it in writing. He sent her an email — obtained by CBC News — saying the soundproofing is “not very satisfactory” and “Therefore we feel the apartment is not suitable for a family with small children.” The email didn’t cite any other reasons for rejecting the family. Khoo works for one of Canada’s big banks. Her husband has a government job. She says they have great credit, don’t smoke and don’t have any pets. Yet their two-year-old daughter Ella made them unsuitable. “I was angry. My husband was even angrier,” Khoo said. Khoo didn’t file a complaint. And neither did the McCubbins. Experts say many tenants don’t complain, put off by the process and the possibility of being seen as a problem tenant. “For every one person that comes forward, we don’t actually know how many other people are facing the same issue,” said Annie Hodgins of the Centre for Equality Rights in Accommodation, an organization that gives advice and information to people facing discrimination in housing. Hodgins says the centre receives more than 1,500 calls a year from people facing discrimination. She estimates between five and 10 per cent of those involve family-based discrimination. In a tight rental market, Hodgins says, that can often mean families end up in substandard housing. Not to mention it can be deeply painful for those being discriminated against. “People say ‘Well, this is my house, I’ll rent to whoever I like.’ No, it’s not your house. The minute you start to generate revenue, it’s a business,” Hodgins said. The fact is though, many of those businesses simply don’t want to rent to families. Three months after arriving in Canada, the McCubbins are still looking for a place to live. And still trying to understand why so many landlords don’t want their 22-month-old daughter living in their rental property. Income suites are a hot topic these days given the rising costs of homeownership in Canada. The concept is simple enough: a homeowner can turn an area of their home into a legal, self-contained apartment then collect rent each month to off-set the costs of owning and maintaining the property. This can be a sound investment strategy for your clients; to actualize the dream of owning a home or to further expand their real estate investment portfolio. But there are a few things to advise your clients on before they decide to become a landlord in their own home. One of the most obvious advantages to adding a legal basement suite is the rental income, which can help pay down the mortgage or assist with the on-going yearly expenses and maintenance of a property once the mortgage has been paid off. Another advantage is the increase in re-sale value because income suites attract a wider range of buyers, such as first-time homeowners hoping to climb up the property ladder, real estate investors wanting to build up their portfolio, or buyers who plan to live with extended family or elderly in-laws. Having an income property does come with some tax implications. While the homeowner will need to declare the income they receive each month on their tax return, they will also have the benefit of writing things off, such as a portion of the yearly home maintenance, mortgage interest or utility costs, if they are included in the rent. There may also be other tax benefits or liabilities depending on the individual situation, so it is best to speak with an accountant for the details. Find out what the rights and responsibilities are for both landlords and tenants by visiting the municipal bylaw office. They will supply the homeowner with a copy of the Rental Act, which outlines the rules and regulations governing rental suites in the area and the procedure to resolve any disputes that may arise during the tenancy. The bylaw office will also determine whether the planned income suite complies with local zoning plans or if any permits are needed to legalize changes to the existing suite. The homeowner will also need to determine how much to charge for the monthly rent and what utilities and amenities will be included, if any. Take into consideration whether this will include the heat, water or power in the rental amount. Does the unit have in-suite laundry facilities or can it come furnished? Will the tenant have a dedicated parking spot or be allowed to have pets? They will also want to consider how much privacy they need in the exterior spaces of their home. Will the tenant have unlimited access to the backyard or deck area? Browse the local rental listings on Kijiji and Craigslist or read the latest rental market reports on the CMHC website to find out what the going rates are in the neighbourhood. A large part of being a successful landlord is having all of the paperwork in order. This is not only important for maintaining a positive relationship with the tenant, but also protects the homeowner and their property if the tenancy does not work out for some reason. One of the most challenging aspects of having an income property is finding the right tenant to move into the space. The tenant needs to be well suited for the homeowner’s individual lifestyle; renting to an Operatic singer who practises at home may seem like a great idea at first – free concerts every day – but what happens when it’s time to put that newborn infant down for an afternoon nap? It’s important to qualify all of the prospective tenants who apply to live in the unit. Start by asking them to fill out an application form detailing their personal identifying information, employment status and previous rental history. 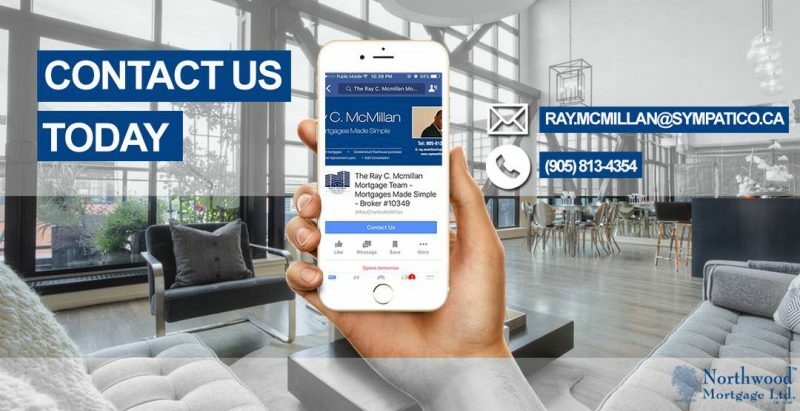 It’s also a good idea to have the tenant supply a few references that the homeowner can call to verify the information the prospective tenant has provided. Lastly, they will want their permission to perform credit history and criminal record check. Once the perfect tenant has been selected, sign a lease – standard form leases are available at the municipal bylaw office – detailing every aspect of the arrangement from the rental amount, to property rules and the procedure for ending the tenancy. On move-in day, the homeowner should perform a pre-inspection walk-thru with the tenant then fill out a rental unit condition report. This report will be compared to the unit condition report that is filled out when the tenancy is over. The homeowner should also keep detailed records of how and when the rent is paid, any repairs or maintenance performed on the unit, document any disputes or problems with the tenant and, finally, ensure the tenant receives a copy of all of the paperwork for their records. Adding a rental unit to a home can come with a unique set of challenges and not everybody is cut out to be a landlord. But for those of your clients who tackle this type of property investment, having an income suite can be a ‘sweet’ way to further expand their real estate empire.